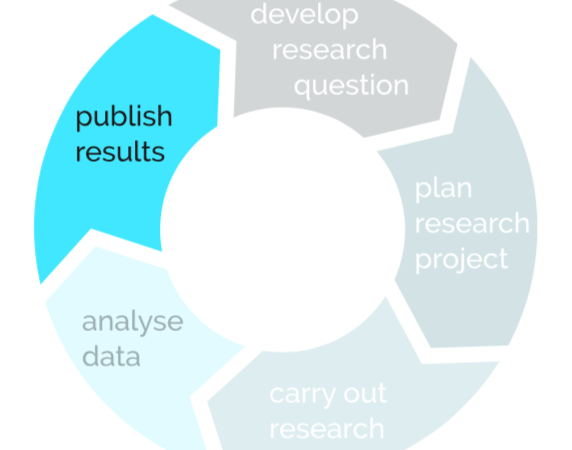 This webinar is dedicated to the phase of the Research Lifecycle “Publish Results”. It covers several aspects related to successfully drafting and implementing a publication and dissemination strategy taking into account specific Research Infrastructural aspects. It will first cover the basics of impact measurement and research metrics, both from the individual researcher’s perspective as well as the Research Infrastructure perspective since these are strongly interlinked. It will then go into details such as repositories, new publication types and new forms of dissemination (such as blogs or wikis) and touch upon challenges such as data and software citation. It will specifically introduce the Impactomatrix as a tool for drafting an impact-orientated publication and dissemination strategy. This webinar will cross-link to materials developed within PARTHENOS and by the PARTHENOS Cluster Partners. Juliane Stiller is a researcher at Berlin School of Library and Information Science at Humboldt-University where she evaluates solutions for cross-lingual search for bibliographic metadata in the project CLUBS. She also chairs the DARIAH-EU Working Group on Impact Factors and Success Criteria. She worked in several national and European projects such as Europeana v2.0 and EuropeanaConnect. From 2014-2016, she studied researchers’ needs and requirements as well as impact factors in the context of digital infrastructure in the Humanities in the project DARIAH-DE at the Max-Planck-Institute for the History of Science in Berlin. She obtained a doctoral degree in information science evaluating interactions in cultural heritage digital libraries. Prior to her research at the university, she worked several years at Google in Dublin, Ireland, as a search quality analyst. Klaus Thoden is a Research Scholar at the Max Planck Institute for the History of Science in Berlin. He received his Magister Artium (MA) in German language and linguistics from the Humboldt University, Berlin in 2008. He is the technical coordinator of Edition Open Access, a publishing platform for hybrid open access publications. At the MPIWG, he has been involved in developing an infrastructure for digitizing sources for the ECHO environment and since 2012 been involved in infrastructure projects (DM2E, TextGrid, DARIAH-DE). The focus of his research is the influence of computers and the internet on the way scholars perform their work. This includes research on the publication process in the humanities as well as usability studies and modelling research activities.